Humphry Repton made 'improvements' to the Harewood estate in 1800 and he was commissioned by Edward Lascelles to design a grand entrance to Harewood House to replace Lofthouse Lodge. Repton's design was a triumphal arch with four fluted columns supporting an upper storey with a crest of the family coat-of-arms. Lascelles rejected Reprton's design and asked Peter Atkinson of York to redesign the arch. It was erected in about 1803 by the local mason, John Muschamp. It is not known where this plaque of Harewood Coat-of-Arms is now. 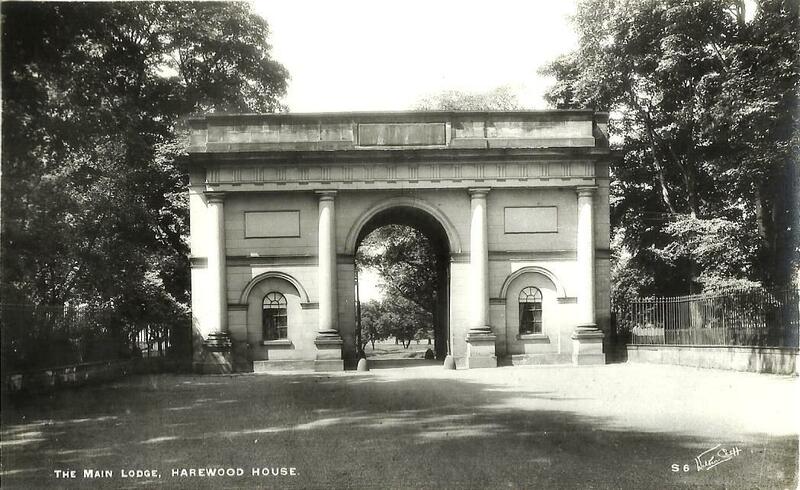 But it could be speculated that it was intended for Repton's design for the gateway. Harewood Castle pleasure grounds were laid out between about 1810 and 1816, probably by James Webb. In 1814, a rock arch was made over a pathway that linked the new garden and rocky valley, which were made in an old quarry, with the parkland. The craggy landscape and old castle were regarded as sublime Picturesque. 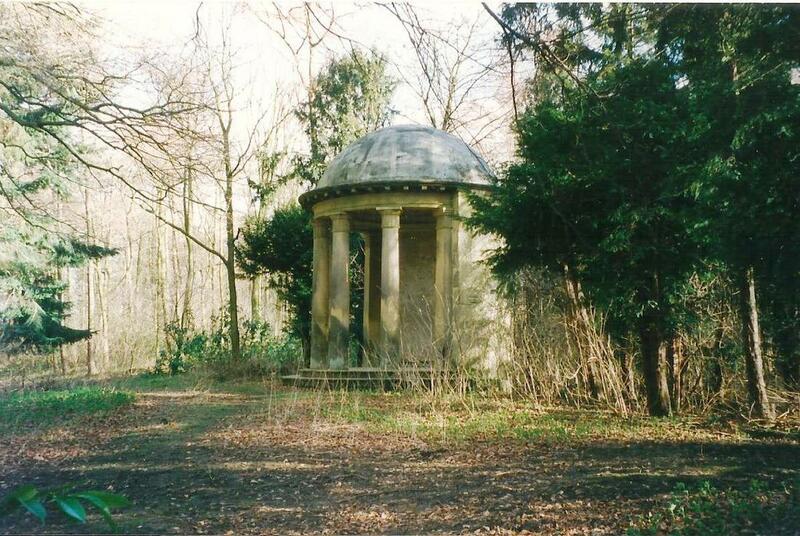 The Temple, in the Grove at Harewood Park, is a half-open rotunda with four columns and a domed roof. It is a viewing house from which there were vistas to Armcliffe Cragg, Harewood Bridge and Harewood Castle. It was often visited by H.R.H. the Princess Royal. 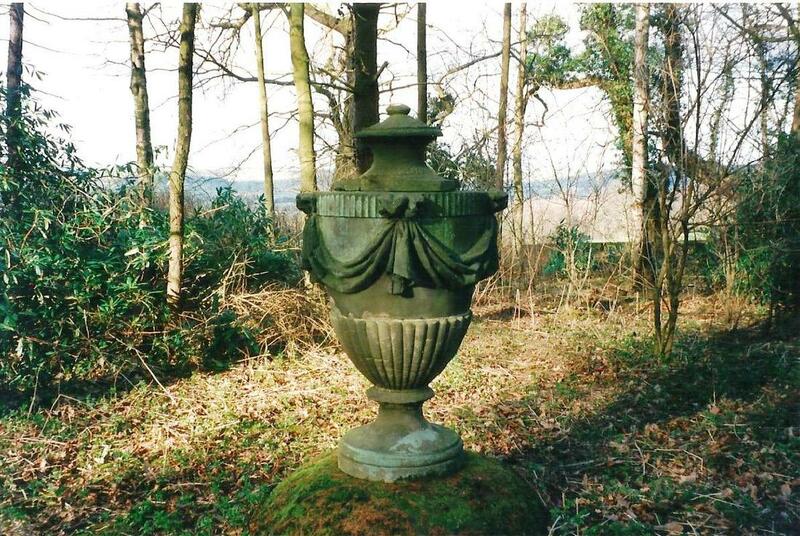 Perhaps the urn in the Grove at Harewood Park, was part of Humphry Repton's 'improvements' at the beginning of the 19th century.